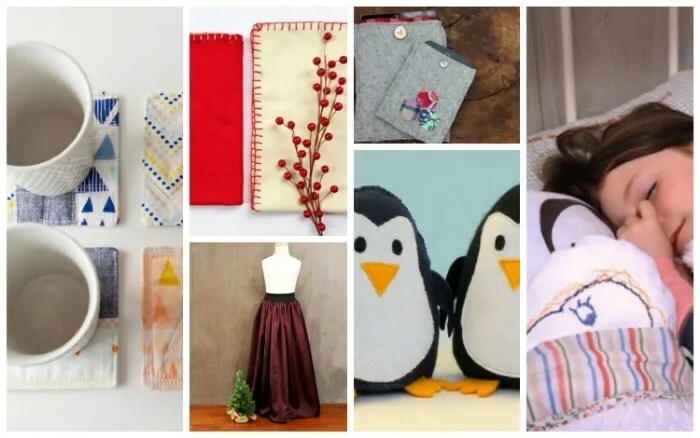 Recently some lovely bloggers put together an ebook called Handmade Winter. 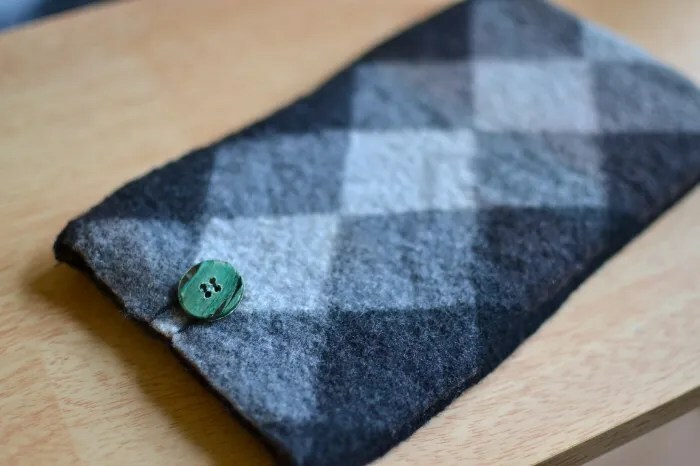 And when I got my copy, it didn’t take me long to pick out my first project, a felted wool tablet case. 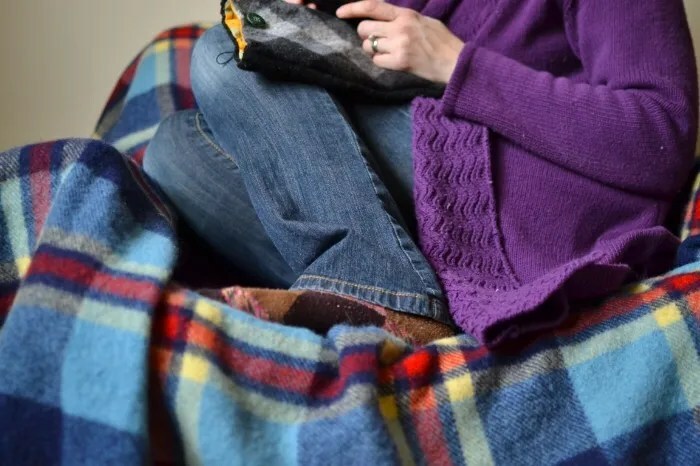 This tutorial caught my eye, partly because I love the coziness of felted wool, and partly because my hubby gifted me a tablet for Christmas that needed a new home. I had already felted this thrifted sweater awhile ago, so this case took only about 15 minutes to put together. The case in the ebook has the seams sewn on the outside, but I decided to sew them on the inside instead. I also chose to attach my lining with a blind stitch. And while we’re talking about the lining… Flannel. Orange. Bikes. It’s just too fantastic for words. One more element of cozy added to my naptime reading corner [also known as, the place where I hide from my children]. The photography in the Handmade Winter ebook is stunning. The pictures really make you want to curl up with a cup of coffee and snuggle under your warm, wool blanket. Or eat that glorious raspberry deliciousness there..! 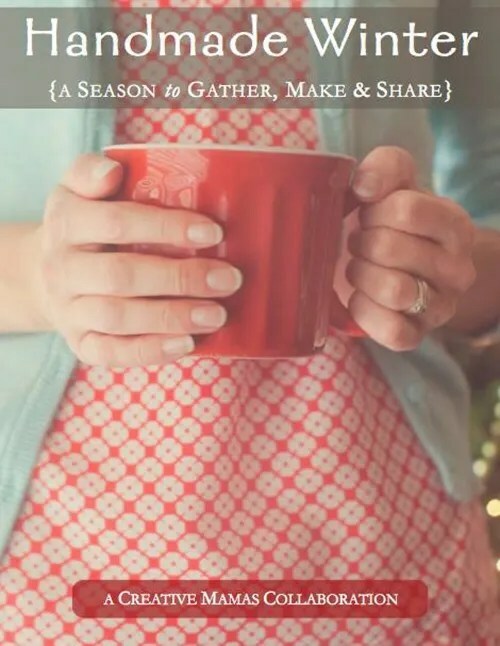 It’s filled with recipes, party ideas, winter traditions, kid crafts, and some really lovely sewing projects. You can read more about Handmade Winter here. Disclosure: I received this ebook in exchange for my review. All opinions are, of course, my own. You are GORGEOUS!!! 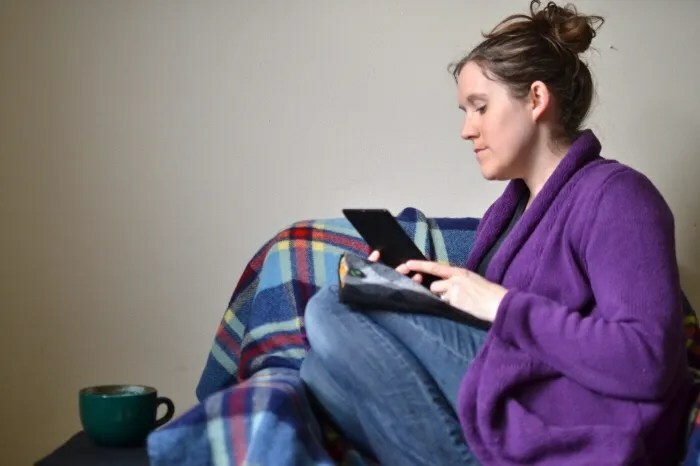 I love that photo of you sitting and reading :). 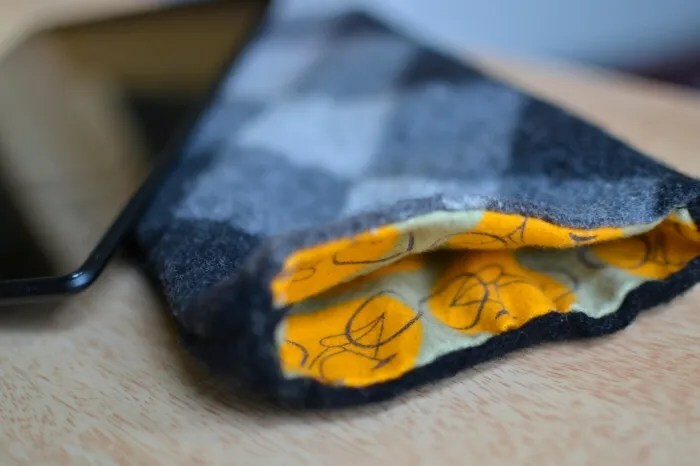 Thank you so much, the felted case came out fabulous. You rock! This is so fabulous! Love the bicycle fabric you chose. Totally makes me smile. Thanks so much for reviewing the book! Oh your case came out so well – and to sit and read? Only late at night for me (and even then, it’s just a few pages before I fall asleep!) 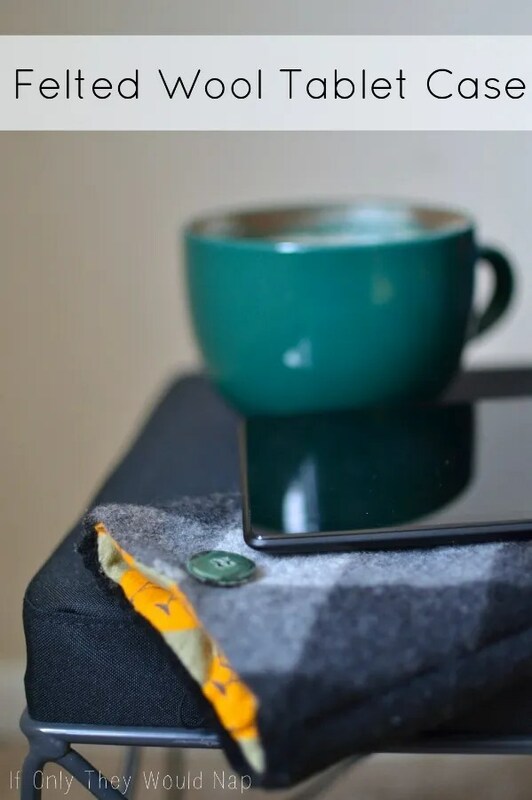 I’m looking forward to making one for our family iPad – double lined in batting (or foam!) since the kids really love to drop the iPad and give me mini-heart attacks! Thanks so much for sharing your review – I simply LOVE this book! !